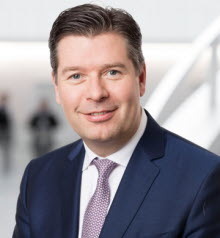 Portfolio Manager & Macro Economist, Robur Asset Management (Swedbank), Head of Nordic & Dutch Corporate Debt Capital Markets & Risk Management and Executive Director, Financial Sponsors Group Private Equity at Morgan Stanley in London, Head of Client Coverage, Merchant Banking. Co-head of division Large Corporates & Financial Institutions. Johan Torgeby is independent in relation to the Bank’s major shareholders and non-independent in relation to the bank and the bank’s management. 5,567 class A-shares, 84,809 share rights and 138,037 conditional share rights.